Wow, another great devotional reminder today! Yesterday, I wrote a reminder about how we need to show our spouses love, but this was a great reminder that our duty to love goes far beyond that of our spouses and immediate family. We are called to love STRANGERS too! I just love the story of the Good Samaritan, and I often wonder why we don’t see more people like him today. I think many Christians today would like to be like the Good Samaritan, but they feel like they have been discouraged from performing loving acts to neighbors and strangers because they are afraid of being taken advantage of or even physically hurt. Do we live in a more dangerous world today than in Jesus’s day? We could argue yes, but Jesus’s day was pretty dangerous. The man in the parable was beaten and robbed and left for dead on the side of the road. I wouldn’t call that a peaceful place. Crime and violence were a part of the daily existence at that time too. Samaritans like the Good Samaritan were often treated as lower class citizens by others in their country because of the circumstances of their birth. It is highly likely that if the roles had been reversed and the injured man had been the one to encounter the Samaritan injured on the side of the road, then he may have just acted like the priest and Levite and passed on by. The Good Samaritan likely knew this, and yet, he still acted lovingly toward the injured stranger. 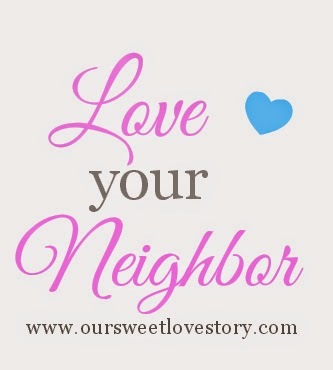 We know God still calls us to love our neighbors and that means to care for them with they are sick or hurt. I know I have personally been the recipient of the kind acts of neighbors. I hope I have been the giver of kind acts on occasion as well, but I know I have fallen short more times than I have succeeded. As my devotion stated, the Good Samaritan’s loving acts did not come from a “sense of obligation” to the stranger but from a change in his heart that led him to want to fight injustice and for the needs of other people. He put others’ needs before his own. While the Good Samaritan knew there were risks to his actions, he still proceeded. He likely knew that the stranger or the innkeeper could take advantage of him. The stranger may have been “faking” his injuries and could have turned against the Samaritan to injure or steal from him. The innkeeper could have just taken the Good Samaritan's money and done nothing for the injured man. Caring for strangers and having a heart for injustice often means taking such risks. We may give our money to help another person and not have any control over how they use that money and if they will waste it or use it to help themselves. Despite the risks, we are called to love and serve anyway. Jesus knew that even after giving so much of his love and help to people, he was going to be attacked and eventually killed by an angry mob who saw him as a threat to their positions of power. Last weekend, I was actually sitting in church and thought about that exact scenario. I actually had to get my phone and type a quick note to myself because I didn’t want to forget those thoughts. I wanted to write them down as a future reminder to myself. I actually wrote them thinking about injustices in the world and about how even if I find myself as a lawyer or judge or some other position of power and authority, I must remember my call to stand against injustice and for our fellow humans who may not be able to fight for themselves. Here is what I wrote: We don’t have to be like King Herod who acted as a judge and chose to side with an angry mob who wanted to kill a man who he knew had done no wrong. Jesus was sentenced to death by Herod despite his innocence of any crime or wrong doing because Herod cared more about his own position of power than another human being and did not have the courage to stand against the mob. Let us be more humane. Let us not be afraid to stand for those who can’t fight for themselves like the little babies who are murdered in their mother’s wombs despite their innocence of any wrong doing. Let us vote for justice for our fellow humans (neighbors) who are mistreated by an angry and unrighteous mob who only care for themselves. Let us love people more than our own positions! This is an inspiring post Sherry. You are so right that often we want to hold on to our own positions of power rather than helping others. Fun Activity for Preschoolers - Water painting!